It has been announced today that Joe Kinnear will assume the reinstated position of Director of Football as of next season. The 66 year old, returns to St James’ Park 5 years after a controversial period as manager of the club. 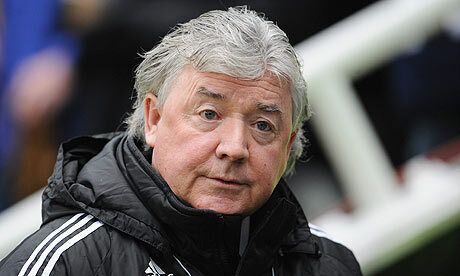 Kinnear was named as interim manager in September 2008 following Kevin Keegan’s resignation and was expected to be in charge for just one month, before the club decided he would remain at the helm until the end of the season. His time at the club was certainly not dull. One of his first press conferences ended with Kinnear swearing 52 times at Daily Mail journalist, Simon Bird. During his reign as manager of United, Kinnear was unpopular, to say the least. However, he can be commended for the signings of Peter Løvenkrands, Kevin Nolan and Ryan Taylor, who became fan favorites during their time on Tyneside. The latter acquisition (Ryan Taylor) was part of an exchange which saw Charles N’Zogbia leave the club to join Wigan, after being wrongly called ‘insomnia’ by Kinnear. So following all this controversy, is Joe Kinnear’s appointment a good one for the club? Kinnear’s main goal will be to orchestrate Newcastle’s transfers. “Anything to do with football, I’ve been involved in. I intend to make Newcastle far better than they are now. Kinnear insisted there will “there will be no issues” between him and Pardew. So what do think of this appointment? Will he be the one to sign the right players for the club or not? No kinnear stay away you are not welcome in Newcastle, you are just a potty mouthed fool. Awful decision, I don’t what might have prompted this. A bender with Ashley, Pardew and Llambias in it perhaps.